When you think about tracking devices these days your mind will automatically go to toward thinking about GPS. Our culture has enough exposure through experience, news shows like 60 Minutes, and crime show dramas that GPS tracking can be incredibly useful for law enforcement purposes. But we are also beginning to realize that the ability to have tracking devices on our person at all times is also a desirable condition. We think of how useful it would be to attach a GPS watch to an Alzheimer’s patient so that if they wander off they can be easily located by their family. Or we might see how beneficial it might be to be able to monitor our teen’s driving while they are out on the road using the family car. We may even see how easily a tracking unit could help us make a decision about whether or not a spouse is cheating on us, the location information provided by a data logging GPS confirming our suspicions about their fidelity. With all this utility staring us in the face it is no wonder that we are becoming a GPS-centric society. New devices and new ways to track things are being introduced at an ever increasing pace. Tracking technology still has a long way to go, and as our ability to make more powerful satellites, more accurate time pieces, and more sensitive GPS receivers continues to grow our ability to do more with tracking devices will increase. As this happens, more and more of our tracking dreams will become a reality. In the mean time, lets take a look at the current state of tracking devices to help us get an idea of what is possible and where things might end up going to. The first tracking device that most people are going to recognize is the cell phone. This is probably the most widely used tracking device today but very few people actually realize that there cell phone can be used to track their movements. All a cell phone needs is a signal from a cell phone tower and to be turned on for it to be one of the most powerful tracking devices on the market. This has obvious implications as a personal tracking device. Since most people use cell phones in some capacity almost everyone is going to be able to be tracked in this way. Now some phones and phone service providers like to make the tracking function of their phones widely know – for example the iPhone, Blackberry, and other smartphones will shout this information from the top of their lungs – but there are a lot of other phones that offer this functionality that can be used as tracking devices on a consumer level. The reason that I say on the consumer level is that the police and other first responders have the ability to track cell phones of all varieties, thanks in part to a 2005 law requiring this functionality for emergency response purposes. Some mobile providers will offer consumer grade tracking on their phones as part of a family tracking plan. I have seen rates for this starting at $5 a month – which is really inexpensive for those who already have the data plan that these programs often require. 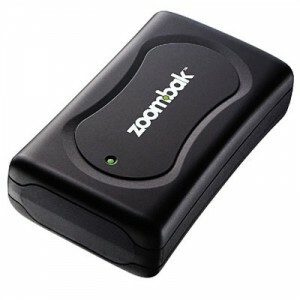 But there are also ways to get GPS tracking on your cell phone for free. I have compiled a list of free GPS applications for cell phones, but these services are generally restricted to certain phones and require that you have a robust data plan to take full advantage of their functionality. They are extremely powerful and cheap, but even cheap GPS tracking can be expensive if you can’t afford a data plan for your phone. Give directions to a driver, making routing and other business related activities much easier and much more efficient. Monitor important vehicle metrics like speed and direction as well as other vehicle performance indicators like the ease of stops and starts. Cute an idling engine that has been running too long. Turn off vehicle lights that have been left on by a driver. Give GPS coordinates to the authorities in case of a theft or medical emergency. Serve as an electronic and positional time card, helping workers work harder while on the clock. The thing about vehicle tracking systems is that they are anything but cheap. The tracking device itself will run you several hundred dollars depending on the level of functionality that you want the device to have. GPS bus tracking devices are going to be different than GPS fleet tracking devices because they will do different things. They will therefore have different costs associated with them. Another things about vehicle tracking that is going to raise the price a bit is paying for the tracking service with your provider. This can range from tens of dollars per unit to hundreds of dollars per unit. Most companies are going to give you a reduced price for each unit you track, but there is little you can do to reduce costs here expect for try and find a free GPS tracking software package. These do exist, but instead of money you will have to invest time to get the system to work just like you want it. For some individuals it is just going to better to go with a paid tracking service. Very similar to vehicle tracking devices, car tracking devices are used track a car or vehicle but they often lack some of the functionality that the more commercial grade vehicle trackers might have. For example, a car tracker usually doesn’t have the ability to lock and unlock doors, cut the engine, or notify a driver if they are idling too long. A vehicle tracker does this because that is the market it is catered to (businesses with fleets of vehicles it wants to monitor) while car trackers appeal to individuals who want to see where their car is or to recover a stolen vehicle. In the world of GPS car tracking, there are two main uses: to monitor an individual’s activity or to recover a stolen vehicle. There are a few different reasons why a person might want to install a GPS tracking device inside of a car for the purpose of people monitoring. One reason is that the person might be a suspect in an ongoing police investigation and the police want to monitor their activity without the cost associated with physical surveillance. Using GPS is a lot more cost effective, and as long as a warrant has been obtained, they can track an individual for as long as the court deems appropriate. Another reason might be to keep track of a teen’s driving habits. By installing a GPS device in their car you can get a lot of information about how they drive, where they drive, and when they drive. This can be used to enforce family driving rules and create a safe environment for them to drive in. Teen drivers have one of the highest incidents of fatal car crashes of the age groups recorded by insurance companies, so finding a way to help them drive safely should be the top priority of any parent. For some, this means using a GPS tracking device as an aid. Still another reason to install a car tracking device would be to see if a spouse is cheating on you. While most of the time a tracking device is only going to tell you where your spouse has been, this knowledge can be extremely useful in determining the truth about their actions. If they said they are going to a friends house but their car ends up somewhere else then you know that something might be going on with them. You can call them very innocently and ask them how so-and-so’s house is going and if they tell you that everything there is fine even though they are not there you might know that something is up with them and that you should maybe investigate things further. For each of these uses you will notice that being able to do a lot of the stuff that GPS vehicle tracking can do is superfluous. What a person in this situation needs to do is be able to track the movements of a person – and not always in real time either. While it is nice to be able to track a teen in real time or to see if a spouse is cheating as it happens, a data logger will generally do just as a good. However, when it comes to being able to recover a stolen vehicle having a real time GPS tracking device is going to be a good idea. That way, when the criminal takes away your vehicle the police can have real time tracking information that will lead them right to your property. That way the criminal can be caught and your property can be returned to you. One of the major theft recovery GPS tracking devices is LoJack and it has been around for years. It is very effective at helping police find stolen property. Finally, the last tracking device that we should talk about are <link>GPS tracking watches</link>. A GPS watch is exactly what it sounds like – a watch that has all the functionality of a GPS device. When you take a look at it, there are two main types of GPS tracking watches and each type has a corresponding use. There are watches that act as data loggers and there are watches that act as real time trackers. A data logger might be something like the Garmin Forerunner 405. 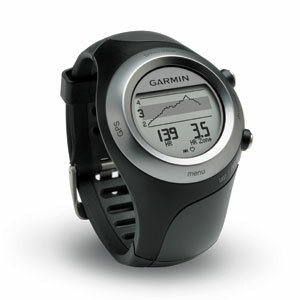 This is a fitness GPS tracking watch that is the top of the line and has tons of really cool features. It is great for serious athletes who want to take their training to the next level and is even better for multi-sport athletes. When paired with a heart rate monitor it provides some of the best workout metrics of any device on the market. It is also a stereotypical example of what a data logging GPS tracking watch is good for. The device logs workout information like speed, altitude, direction, total time working out, and heart rate. This watch is just a data logger marketed toward runners and is the ultimate fitness tracking device. A real time tracker might look something more like the GuardianLion Leo. This is a full featured GPS tracking device that fits on your wrist. It combines the best of cell phone technology with the power of GPS location data to create the ultimate safety device for kids and those suffering from Alzheimer’s. It allows parents or caretakers to have a real time knowledge about the location of their charge and even allows them to get into contact with that individual through the watch itself! This is extremely powerful technology and until recently these watches were so bulky as to be comical. Apparently, the GuardianLion Leo is small enough to fit comfortably on a writs and actually looks something like a normal watch. The future is going to be portable, personal tracking devices. As we can already see with the GPS tracking watches and cell phones, the technology is making great strides toward becoming more and more consumer friendly. It is being packaged and delivered in a way that is very palatable for consumers and this means that tracking devices are going to be here for a very long time and in many different forms. If I had to put money on one become dominate it would have to be the cell phone, but the future is by no means certain. We will just have to wait and see what happens – but I know this for sure, GPS is going to be a big part of my childrens’ lives and an even bigger part of their childrens’ lives.